I guess Dr. David Dao didn’t want to drag it out. He didn’t need 100 days. Neither did United. CEO Oscar Munoz continues his apology tour in the media with a new report that heralds changes in service, including an increase in fees from $1,350 to $10,000 for bumped passengers. Dao’s settlement amount hasn’t been disclosed. Frankly, I would have dragged it out in the media, what with court delays and every story accompanied by the shrieking doctor being treated like a sack of rice. So, good for United. But not necessarily good for the consumer, because now the pressure is off of United to live up to its word. For now, we’re left to wonder if Dow will benefit from that Trump Tax plan. The obsession over Trump’s 100 days is natural. It’s a round number check-up, the first benchmark we have to contemplate the big question: Did America make a mistake electing Donald Trump? So more than an arbitrary thing, the 100-day window lets everyone give the victor the benefit of the doubt and show us he’s legit. With 100 days, it’s even rigged in favor of the president. Mind you, the “honeymoon” phase is when the president’s capital is said to be at its highest (largely because he hasn’t screwed up yet). Rightfully then, we can expect the “100 days” to give us a good sense of the absolute best an incoming president can do. In other words, it’s never going to be any better. This is it. No, here’s what can be said. Trump knows how to be a boss. He just doesn’t know how to be president. He knows closely-held family businesses and is all too willing to appoint inexperienced family members to influential positions. Democracy? It’s an alien notion to Trump. LIke his towers, he likes to be the big bully, above it all. With three immigration executive orders held up in federal court (two on travel bans, one on sanctuary cities), it’s clear he doesn’t know the limit of his reach. His tax cuts are like his public payout for your silence. Raising the standard deduction for individuals may put a few hundred bucks in your pocket. But it’s nothing compared to the corporate tax cut. And according to Trump, it’s all made up by growing the economy at 3 percent. It’s a variation of “trickle down” economics. Over the last 30 years, we’ve already learned that “trickle down” theories don’t work well in practice. Cutting taxes on the rich so they reinvest in jobs and it all magically trickles down throughout the economy is a nice fantasy. But it doesn’t work (not if companies merely use cash to buy back shares and pay the top execs). The plan enriches the 1 percent and practically guarantees the growth of budget deficits, putting the country in the red–if the fantasy doesn’t come true. Couple all that with Trump’s huge military budget, and his 100 day penchant for using missiles in Syria and Afghanistan like he’s trying to outdo Kim Jong Un, and you see where this could all be heading. It’s not the middle class, let alone America first. The tax cut is bad policy. Don’t let Trump buy your silence. It’s not like a money back guarantee. Besides, your vote in our democracy is worth way more than that. Resist. Insist on tax fairness. Trump said in his campaign he’d raise taxes on the rich. Make him live up to that. Either that, or it’s just another Trump lie. A typical flip-flop like we’ve seen in the first 100 days. From China, to trade, to NATO, to his bad appointments, to his aggressive military stands without Congressional approval, the president has done more in 100 days to discredit himself than to reassure us in his presidency. Hence, my grade for Trump: F. And that doesn’t stand for Filipino. And if you still believe, like Trump, that the 100 day marker really doesn’t matter, well, it does mean this. America still has a healthy sentence remaining for which there is no parole. You can mark it on the wall with chalk, but it’s better simply to act up and resist. After April 29th, we’ve got 1,360 days left. That includes the lost days if Trump’s politicking results in a government shutdown. What can you expect from Trump but the best kind of gridlock we’ve ever seen? In Korean, the phrase being used is “sa-i-gu,” or 4-2-9, the date most Korean Americans will never forget. If you were in Los Angeles, you were at ground zero. They call it a riot. They call it an uprising. There was plenty to be upset about. The Rodney King verdict–which acquitted four police officers caught on videotape beating King–was the flashpoint. But it also allowed a community to vent about everything else, including the case of Latasha Harlins, a 15-year-old girl who was shot and killed by a South Korean store owner. Soon Ja Du, the liquor store owner, was convicted of manslaughter, fined, given five years ‘probation, but no prison time– even though the jury suggested Du get 16 years. That, combined with the King verdict, is said to have triggered six days of unrest. It left 55 dead, 2,000 injured, 11,000 arrested. And it was the Korean American community that bore the brunt of the outrage. On the AALDEF podcast, I play a clip from the Korean Churches for Community Development’s (KCCD) partnership with KoreanAmericanStory.org. Because of that, Lim says Korean Americans were unfairly victimized during the riots. They were harshly treated in the aftermath when liquor licenses were taken away, and families not compensated. 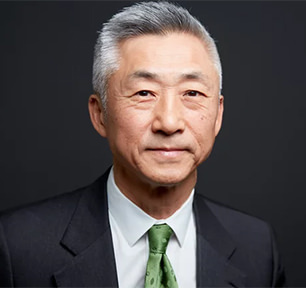 Lim doesn’t see why a struggling Korean American community, most of them newly arrived post-1965, should have been blamed for the hundreds of years of social injustice endured by African Americans in society. The KCCD Commemorative service is one of many to be held this weekend in Los Angeles at the Oriental Mission Church at USC, and UCLA. Listen to Lim on our podcast. In Philadelphia, takeouts are under siege by overzealous cops who often ticket them unfairly for being open after 11 p.m. I talk with Philadelphia councilman David Oh about the situation. 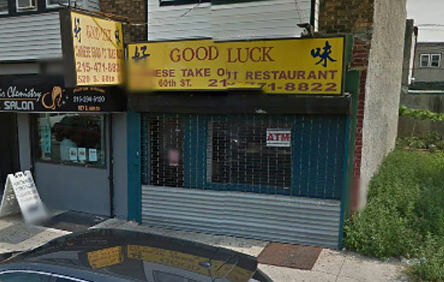 Are Chinese takeouts no different than the Korean liquor store owners of Los Angeles? Oh talks about that. And he tells his own personal story of his cousin beaten to death in 1958 in Philadelphia. It was a Korean/African American story that was felt from Philadelphia to Seoul. The story of In Ho Oh has become a motivating factor for David Oh in the modern racial disputes he sees. It teaches him to seek the high road–by rejecting revenge and offering forgiveness. Finally, on the podcast, Oh speaking about forgiveness makes he consider my own cousin’s murder. Stephen Guillermo was gunned down May 3, 2014 when he entered the wrong apartment by mistake. The resident, an African immigrant, was armed and shot him with a single bullet. I’ve written about it here. The murderer was known, was arrested, and then released. The DA wouldn’t touch the case. My cousin remains a victim, with no real resolution or sense of justice. But a story like In Ho Oh’s offers some comfort and guidance as we approach May 3rd, 1,095 days after Stephen’s murder. In these key anniversaries, we remember as we approach Asian Pacific American Heritage Month how easy it is to slip into an unwitting divide-and-conquer mindset. No one wins, if we take the bait and fight each other. After hundreds of days, in these painful instances where the poor are pitted against the poor, maybe our best options always come down to this: forgiveness, understanding, and empathy. Listen to episode 11 of Emil Amok’s Takeout below. 30:06 David Oh talks about how the situation began.